If you've ever spent money on a porcelain crown, you likely want to take care of it as best you can. Coffee stains on the crown are not only unattractive, but can be quite maddening as well. Although most porcelain crowns are fairly stain-resistant, they can become affected by dark-colored foods and liquids, such as blueberries and coffee, if exposed to them frequently. Removing the coffee stains from porcelain crowns can be challenging, but it is possible. Use special toothpaste to remove coffee stains from your crown. Purchase toothpaste that is designed to remove stains from porcelain crowns. 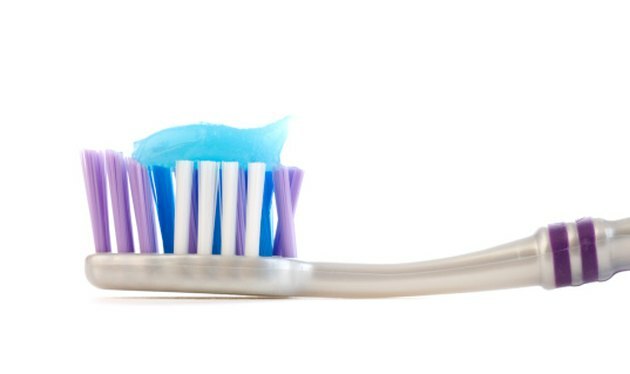 Visit a cosmetic dentist to buy toothpaste that will remove stain-attracting pellicle from your crown. Brush your teeth with the toothpaste twice daily, or as directed. Doing so helps to remove the pellicle layer that forms on the crown and attracts the stains. Use the toothpaste until the stain has resolved. You may also use it on a regular basis to help keep your crown white. However, make sure your toothpaste can be used indefinitely, as brands vary. Some are too harsh to use on a permanent basis.